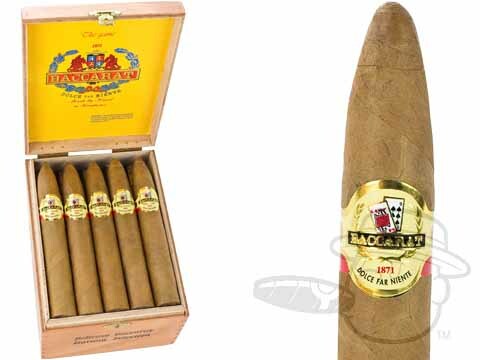 Baccarat cigars are the #1 best selling cigar brand in the United States. 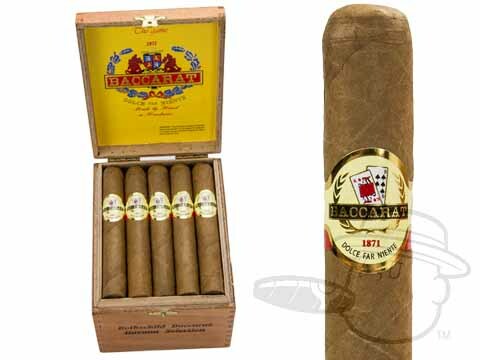 Handmade in Honduras using a unique mix of smooth tobaccos beneath a creamy Connecticut wrapper, Baccarat cigars are mellow and flavorful with a Cuban-style sugar-tipped cap for an extra bit of sweetness in every puff. 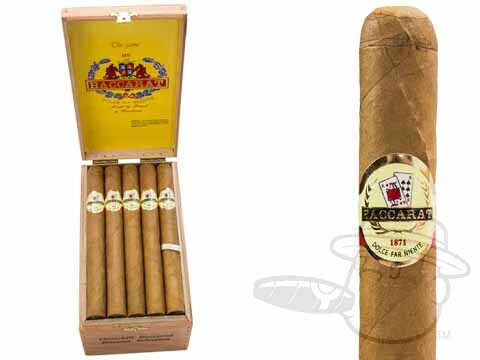 Affordably priced and impeccably mellow, once you get a taste of Baccarat cigars, you may never turn back. 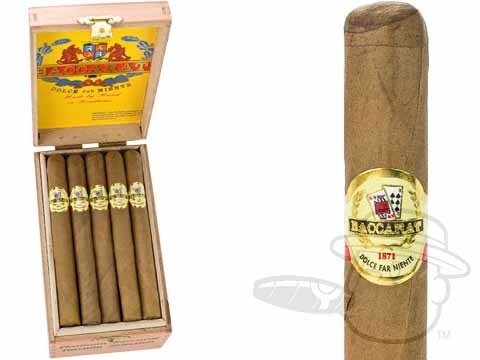 Stock up on Baccarat “The Game” cigars at the lowest prices online at Best Cigar Prices. 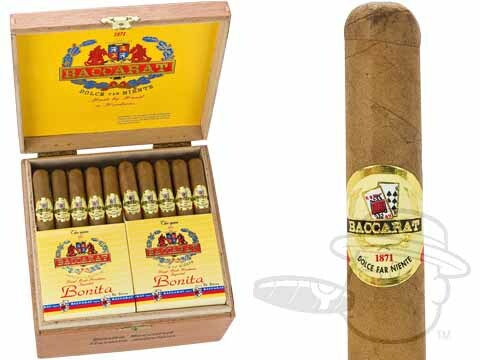 Baccarat cigars are rolled by hand at the famous Camacho factory, Rancho Jamastran in Danli, Honduras. 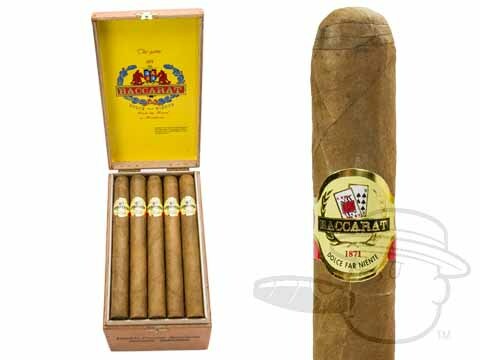 The famously sweet-tipped Baccarat cigars give off a toasty aroma and mellow taste that makes them a popular choice for beginning cigar smokers and aficionados the world over. 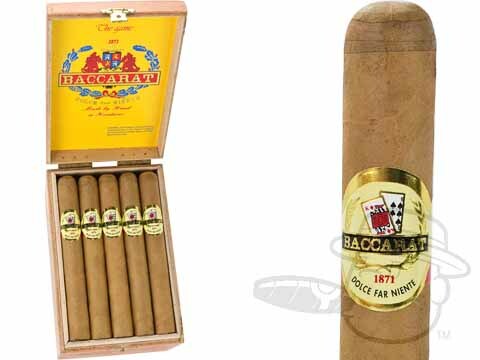 When discussing the best mellow and sweet cigars with our customers, the conversation inevitably turns to Baccarat cigars. 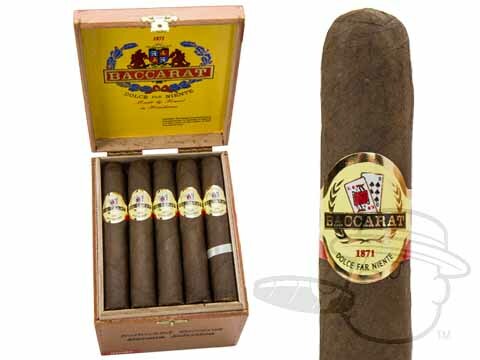 Baccarat cigars are a great "entry-point" cigar. 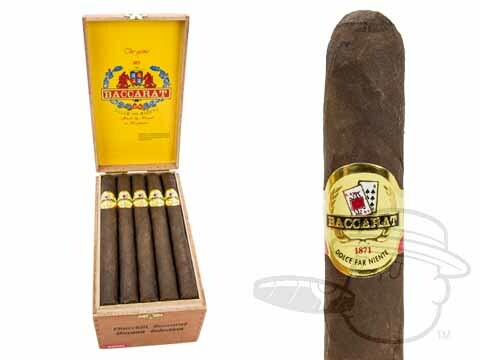 The Honduran tobaccos used in Baccarat cigars are very flavorful, but very light in strength, so new smokers can enjoy them without being overpowered. 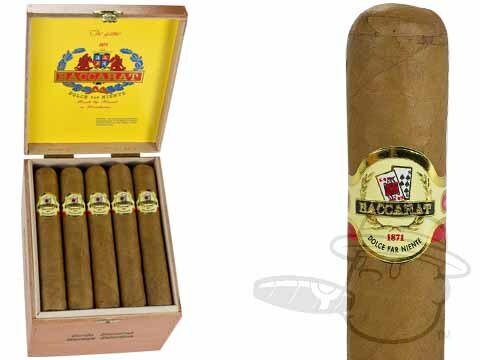 And, of course, the sweetened tip on Baccarat cigars adds a lip-smacking sugary taste to each puff. 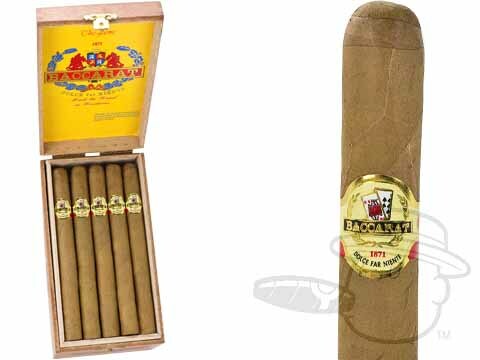 From Baccarat cigarillos, which offer a sweet and satisfying quick puff to the larger Baccarat lucharodes, these everyday favorites remain one of our best sellers year after year. 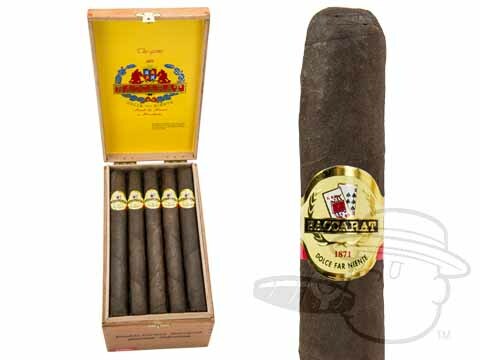 If darker-wrapped smokes are your thing but you still want that mellow body, you need to try Baccarat cigars in the Maduro wrapper. 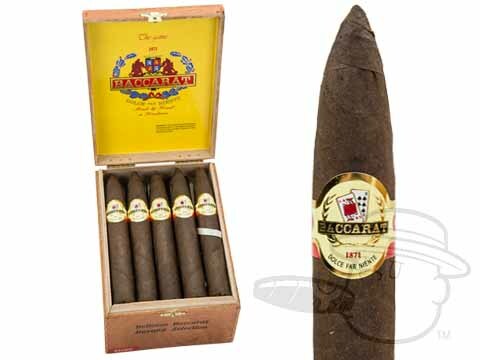 The dark Honduran wrapper on Baccarat Maduro cigars lend notes of sweet leather and cocoa, and just a touch of pepper to its easy-going flavor profile. 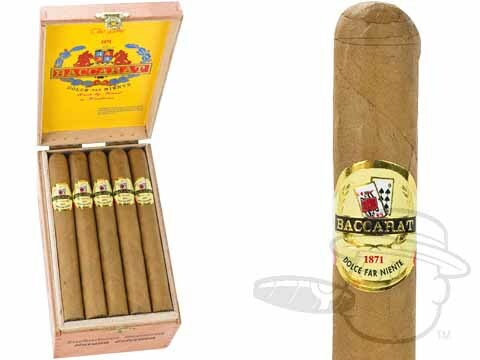 Baccarat cigars are actually a bit of a throwback in terms of style. 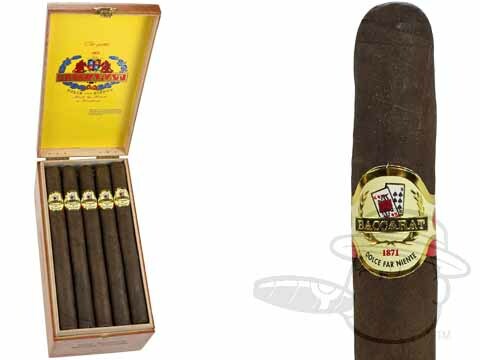 The sweetened cap found on Baccarat cigars was very popular among cigar makers in the first half of the 20th century, particularly Cuban brands of the era. 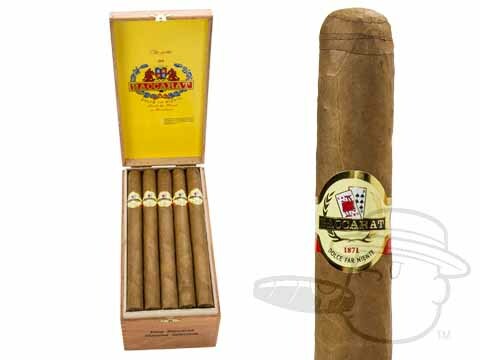 It’s no coincidence that the entire Baccarat cigars line is called “The Game.” Baccarat is actually a casino card game that was introduced into France from Italy during the time of Charles VIII. The game is similar to Basset and Faro and is a game of both skill, and chance. The game only has three results: Player, Banker and Tie, which are just options on which the customer can bet. Baccarat can be found in most casinos throughout the world, and is even the game of choice by everyone’s favorite secret agent, James Bond (even though Baccarat was replaced by Texas Hold ‘Em in the 2006 version of Casino Royale). 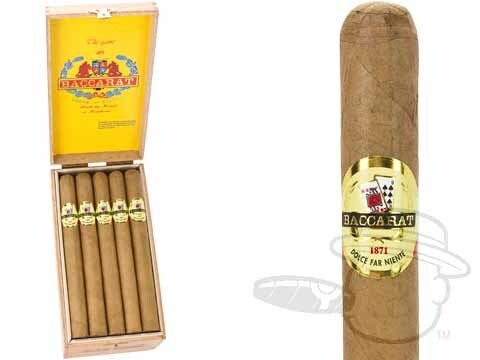 Whether you’re new to cigars or just looking for a light and sweet cigar for your collection, you can’t go wrong with Baccarat cigars. 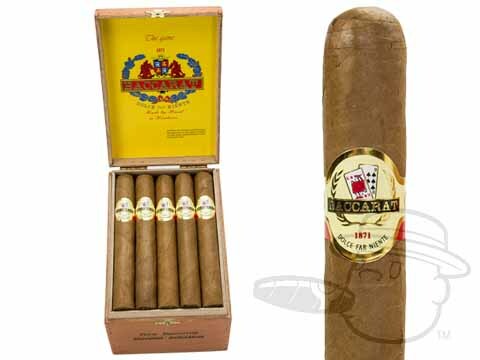 Get your sweet-tipped fix with Baccarat cigars at the lowest prices online right here at Best Cigar Prices.